You made the class at the Bethpage library very lively & interesting..
I am a holistic practitioner who strongly believes to establish and live a life full of passion, inner truth, compassion and peace we must have our everyday environment ( home & workplace) in order. I have always been an individual who feels everything and everyone is connected somehow, and if there is disarray of any sort, it potentially will not allow your inner spirit to live to its highest potential mentally, physically & spiritually. I thank Laura Cerrano from the deepest part of my heart for her natural ability to reorganize my life in such a simple and beautiful way!!!!! I feel a difference in my breathing and mental state. My work place / home has a stronger sense of peace and welcoming atmosphere. This allows me to be much more creative in all my endeavors. I have also noticed I have much more clarity which permits me to be a better practitioner with all my patients. Along with the fact I have much more stamina. This stamina gives me plenty of time to transition to other tasks or treat the next patient in a quick, steady unraveling way. I truly feel it’s a combination of living my life with passion in all that I do and Laura’s insight in knowing what to do for each individual. I personally think no one is a modern, traditional, contemporary , etc art piece... we are all “whole “ in every way. My first experience with Laura was for our business. We were in the process of doing some renovations to a building we recently purchased. I reached out to her because I was reading alot about Feng Shui and it made so much sense to me. She was expert I was looking for. Her extensive knowledge and recommendations made a difference in the way we saw and felt in our new space. Fortunately, our conference room was placed in the partnership area. Laura’s recommendations for the size and placement of artwork, connecting our other locations to that space, honoring our past and growth always reminds us of the positive intentions we have in helping our clients and partners. Every office was reviewed for desk and chair placement so that everyone was in a commanding position. Laura discussed each area of the office (wealth, knowledge, helpful people etc... ) which gave us insight on who we needed to place in each office. Laura even gave us a review of our outside space. She listed all of the positives and suggested cures for anything that could be improved. We get compliments from everyone that enters our office. They are impressed by the space, but also feel very comfortable. I reached out to Laura for a second time this past week, this time for my home. We are in the process of working with an architect and sketching plans for a big renovation. I had some concerns I expressed about my home prior to our meeting. Laura reviewed the plans, created a customized map of the areas specific to my home, and addressed my concerns as well. After our meeting and discussion, I took some time to let Laura’s suggestions sink in. I thought about my intentions, the flow of the energy I wanted to create, and came to the realization that one simple change would make all of us happier, create the space I ultimately desired, and save us about $30,000 in renovation costs! The renovation process was weighing heavily on me, but now I am actually excited to continue the process. I had the opportunity to attend two of Laura’s classes this past week in Raleigh NC. Laura is professional yet down to earth. I was introduced to Feng Shui years ago however I still get confused. Laura was able to explain Feng Shui in everyday language. She was able to provide simple , easy solutions to help in all environments. Laura was able to suggest some simple and easy examples regarding my circular stairway in the middle of the house. Believe me when I say this was not an easy feat. Laura does not try to make Feng Shui one thing for everyone. She was patient and put herself in your situation to come up with a solution. As she did with me. Laura incorporated Physical, Spiritual and Environmental aspects in her classes. She was clearly nonjudgmental. She was patient, listened to the questions asked and tried to put herself in the persons situation. The classes were geared for those just learning what Feng Shui is and how it can enhance various situations to more intermediate ways to enhance situations. She used slides so you were able to see the before and after using simple Feng Shui solutions. I would recommend you attend Laura’s classes, Workshops or use her as a consultant for your specific environmental needs. You will not be disappointed. I normally do not write reviews, however, having worked with Laura on several occasions, this was very needed! Laura has helped guide me in the work space and in my home. She is very educated and knowledge about space, layout, energies and other Feng Shui importances. This is a long overdue review for Laura of Feng Shui Manhattan and her skilled, organized, and insightful FengShui consultations in NYC and NJ. I’ve hired her in 2014 for both my condo apartment in Jersey City as well as my wellness practice in West Village and most recently for a new house rental in Northern NJ. She is beyond prompt and extremely communicative in the process for your FengShui visit. Her calm and warm demeanor is greatly assuring for your journey to improve the flow of your home and life in total with a touch of personal stories to relate to. Although I’ve dabbled a bit in the studies of FengShui, she is the real professional with a wealth of knowledge, clarity and manageable advice without getting your self immersed with complicated talismans and obscure cures. I can’t recommend Laura enough to help address the stagnant flows of home and life as well as create more abundance in career, wealth, health, partnerships, helpful people, family and of course knowledge! Much gratitude for this gem of a woman. Just as we were losing hope in trying to conceive as a couple after several failed IUI and IVF attempts, a friend of ours suggested we contact you for a Feng Shui consultation. We were told by our doctor that it would be impossible to conceive that month and had received no treatments. 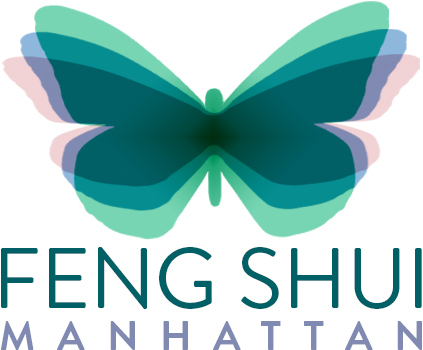 Laura Cerrano with Feng Shui Manhattan was an amazing addition to our event. Her presentation kept our guests interested and left them wanting more. She answered questions about Feng Shui thoughtfully and informatively. Our guests were raving about her unique stories, specifically the story about a women who overcame cancer with the assisted healing power of Feng Shui. Wow!  I chose Laura to help me redesign my space after a big life change. From our first emails, Laura was knowledgeable, generous and fast. Laura approached my space from all the areas of her expertise: interior design, feng shui and a deep respect for the individual within her space. Our time spent together was inspired, as we walked through my home she brought clarity to issues I didn’t even know were there and even before I received her report, began making changes. The report I received from her was detailed, thoughtful and incredibly generous. Her follow up policy has been invaluable. I love being in my home now and having people over. I have gotten endless compliments on my home now, people tell me the energy has completely changed. I really just wanted my apartment to look cohesive and make sure I was harnessing as much positive energy as possible. I couldn’t have anticipated how much of a personal shift I have made since working with Laura Cerrano. I recommend her highly.  I felt a lifestyle change I went from being depressed in bed to embracing new changes, healed from depression, became spiritually, emotionally and mentally confident even in new surroundings. I also became more physically active. I started to eat more healthy and also was and am being surrounded by positive network of friends and the negative ones disappeared. I felt more confident communicating with others. There are not enough words that can express how beneficial and rewarding in applying the principals of Feng Shui has been in my life. Feng Shui is one of those things that you have to try or give it a chance before opinionating.  Laura, I very much appreciate your help and wisdom in teaching the beautiful ancient art of Feng Shui during our consultation. Within three weeks I received a substantial raise at my job and I am now able to afford that wonderful vacation I always wanted. I can’t thank you enough for all your help, kindness and follow-ups.